"May I repeat, it did not take place at the Sunday Morning Well as we said many, many times,” exclaimed a very concerned caller to the NDP Radio Show aired on ZBVI 780 AM on May 1, 2017. “I wonder if you had plans to correct the matter, particularly for the young people in the territory?” asked the caller. In response to the caller’s concerns, Honorable Myron V. Walwyn (AL), Minister for Education and Culture, agreed that more people needed to be aware of the correct information. Meanwhile, both Hon Walwyn and host of the show and cultural icon Mrs Eileene L. Parsons OBE were of the view that it wouldn’t be an easy task to clear up the false information about the Sunday Morning Well. “I get the point that you are raising and it is an important point for the sake of the history of the island or the territory,” Hon Walwyn told the caller. Mrs Parsons said the issue has often been raised before and clarified that the Proclamation of Emancipation was first read in the pulpits of the two churches; Anglican on Virgin Gorda and Methodist in Road Town. How did the misinformation come about? We love to write our own history! 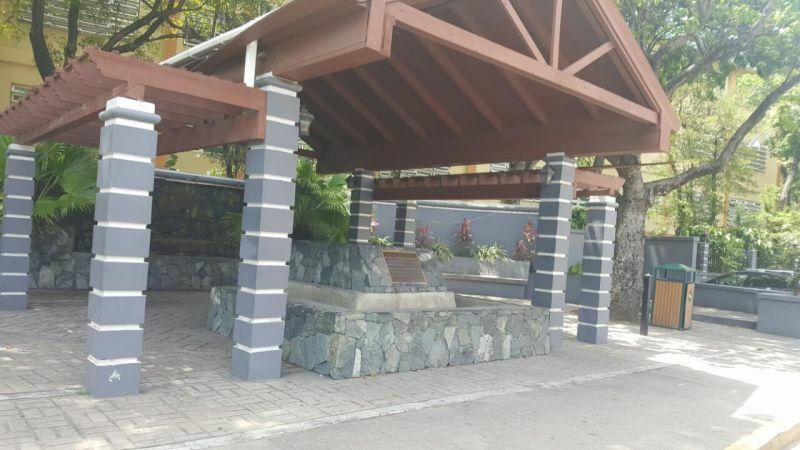 It was also on July 31, 2014 while addressing members of the Rotary Club of Tortola that Mrs Parsons clarified that the Proclamation of Emancipation was not read at the Sunday Morning Well on August 1, 1834. 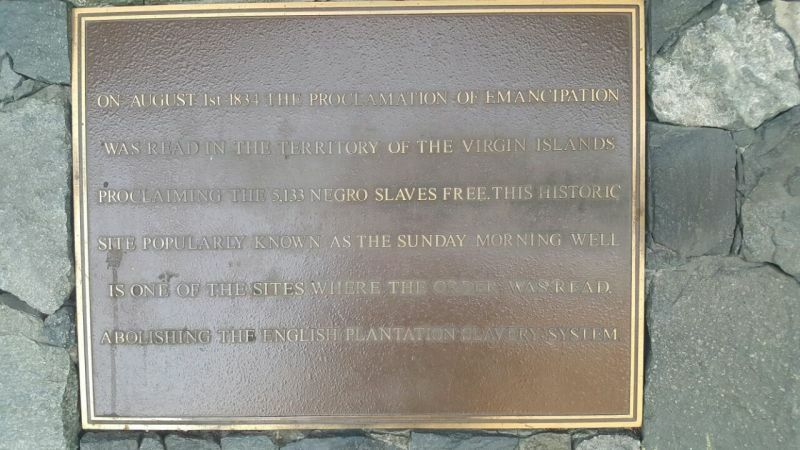 “Now we in the BVI, we love to write our own history and it is said and it is not so, that the proclamation was read from the Sunday Morning Well. It is not true,” Mrs Parsons had exclaimed. She had further explained that the slaves would not have been allowed to gather en masse at the Sunday Morning Well. “And it wasn’t even called the Sunday Morning Well then. It was just a trough for animals to be watered when they came in from the hills or wherever but because the proclamation was read that Monday, the freed African of course, since they were liberated, they decided that on the different plantations they would have a celebration,” she explained. She said that it was from then to now that the first Monday in August is being celebrated as Emancipation or Festival. some of them just come and want to rewrite our history! I totally agree, Correction Pat. History matters. It documents where we have been and how far we have come. That is why the call to preserve Main St is so important in teaching generations about culture and character. If the well is not a correct story- it is a myth, which is not accurate. I think students should be assigned historical sites and do research on each for publication to further historical understanding. BTW- The above is not Pat as you can gather. I have been calling for history awareness for years and do not agree with the above impostor. This is why identity is so important when writing publicly. A name is part of one's voice and when someone takes it, the voice gets confusing to others if not diminished itself. Please quit taking others' names. Many on this site seem to think it not important. It is. historical and environmental tourism is hot and could be another venue for some entrepreneur to investigate. Create a product that draws people, thus creating a local business which would help feed your children. holding out your hand to government is not always the answer. Using history can also help become a success. They stop lying to us on all fronts and backs; in particular, bout our-story and not bout his-story. Read the sign. 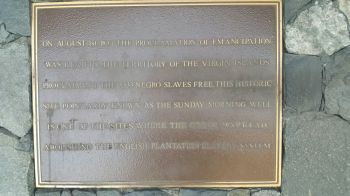 It says one of the sites where the proclamation was read freeing the slaves in the territory while our brothers and sisters in the than Danish West Indies were still slaves. As long as you correcting that, correct the history being thought in schools that Columbus discovered America along with it. How can it be clarified that the Proclamation of Emancipation was first read in the pulpits of the two churches, Anglican on Virgin Gorda and Methodist in Road Town. Like in another matter of the first festival parade which wasn't started in Road Town but was started from Chapel Hill, East End..
Obviously the caller to the program did not bother to check any facts but rather relied on third party information. The Sunday morning well was one of the sites where the Proclamation was read to the slaves. Yes it was read in the churches at first but that was to the slaves owners and other government officials. Slaves were not allowed to worship or attend any of the churches. As a matter of fact both churches had slaves but they could not attend them. So to the slaves the site is where they heard that they no longer slaves. The only correction that is needed is to add the other sites to our history. The Sunday Morning Well is the most significant site to the slaves and their ancestors because that is one of the sites where there freedom was bestowed back to them. This argument is a perfect example of the plantation mentality still plaguing us today. trying to erase the significance of the Sunday Morning Well is a travesty to our history and heritage.